Royal Orchid Wine was looking for a new e-commerce platform and switched to LianaCommerce due to its reliability and scalability. 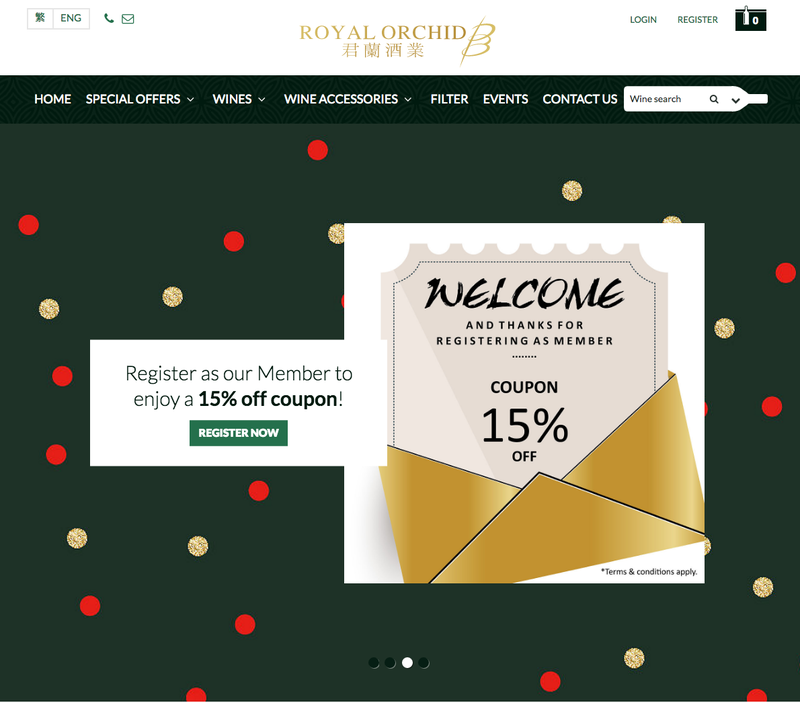 We implemented an online store revamp project for Royal Orchid Wine. During the redesign, emphasis was put on the usability, mobile-friendliness and the overall appeal of the store. Royal Orchid Wine expanded their product line to 994 items. With such a diverse product range, it is crucial that the webstore still remains easy to manage and update. With LianaCommerce, the users can easily add new products and create new product categories with just a few clicks. The managers of the webstore can also promote their products with special offers displayed on the front page. After a successful website relaunch, the company chose LianaMailer to amplify their marketing with email campaigns. Royal Orchid Wine sends their hot deals and monthly offers to the customers with the help of LianaMailer.